Corinna Chapman is a Melbourne-based baker who lives a hard-working but fulsome life in an esoteric city building. It's the ideal of Epicure -- people who live separately, but together. 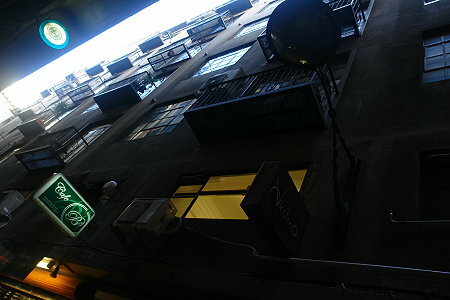 A community of people live in a block of apartments (Insula) on a Melbourne lane way, above a selection of boutique businesses: Corinna's bakery, a witch's new-age haven, and a supplier to computer geeks and other nerds. The shop-keepers, and others, live in Roman-inspired apartments about the shops, the block topped with a lovingly-tended roof-top garden. Corinna's idyllic post-accounting lifestyle is filled with flavours and scents of cooking, herbs and spices, and with good friends. Corinna is happy with her baking, her size 20 self, and her gorgeous lover with whom she occasionally solves mysteries. If you're looking for the building that inspired Insula, see Kerry's message at the bottom of this page. Earthly Delights begins with Corinna discovering, and rescuing a young woman from the alley behind her bakery. Through this she meets skinny Jase, recently-ex junkie and the mysterious, and very gorgeous Daniel who works on the soup and sandwich night runs that service Melbourne's street people. 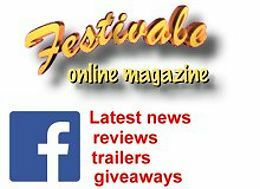 To her joy, Corinna discovers that a man who has lived and worked among the starving sees no beauty in thin women, and that he appreciates both her bountiful earth-mother love of feeding people and her bountiful curves. 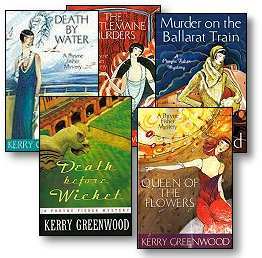 Together these three, with her friend Meroe the sorceress-shop keeper and the leather purveyor , investigate murder, arson, and hateful graffitti in Melbourne. It's a week later and Corinna is baking with her new apprentice, living in her Epicurean ideal apartment block. There is one small blot in her life -- where is her gorgeous P.I. lover? On a crusade, of course, and about to embroil them both in another adventure in Melbourne. Meanwhile, the heavenly chocolates from the chocolatiers next door are being tampered with? Can Corinna find the culprit and save the chocolatiers and their business? Corinna's dead-beat hippie mother, despite hating her immensely arrives demanding Corinna find her missing menopausal father. Meanwhile Corinna's delight in feeding the multitudes is threatened by an obscure cult which demands bread that is a penitence in itself. An outbreak of madness has Corinna troubled, especially so close to her own bakery. Also close to her bakery is a cut-price franchise outlet, with low quality and prices to match -- will her customers remain loyal? She does most of her business to restaurants, but Corinna loves to have her shop front, and she has staff to support. Meanwhile, Daniel's old friend George turns out to be a gorgeous, leggy Brit with an eye for the lovely Daniel. Can Corinna's bakery, sanity and relationship all be saved in one book? Kylie and Goss have won roles in a new soap, and despite her desire for rest and recreation, Corinna is manipulated into taking a job catering for the production. Mayhem and mysteries ensue and Corinna and Daniel once again find themselves in the thick of things. We get many visitors looking for Corinna's Insula building, so we asked. 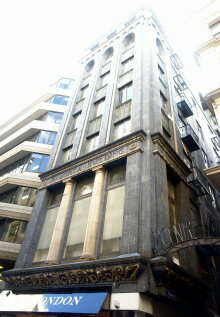 Corinna's Insula is the Majorca Building, cnr Centreway and Flinders Lane. But its Moorish. Centreway was called Calico Alley in 1928 and I like the name better. I found it between Elizabeth St and Swanston St. Look for a metal sign reading "Centre Place".